Airbus virtually closed the gap with Boeing in their intense battle for airliner orders in July after booking about half of the 197 firm sales unveiled at last month’s Farnborough Airshow, according to the latest data from both companies. Amid a broad slowdown in purchases, the European planemaker said it had sold a total of 373 jets between January and July, or 323 after adjusting for cancellations. That compares with 383 airplane sales, or 333 after cancellations, by U.S. rival Boeing. Combined orders at the world’s dominant planemakers fell 17 percent from the same period last year, weighed by concerns over the economy and relatively low oil prices, which have taken the edge off demand for new fuel-saving models. Both planemakers are struggling to book new sales in a market that is seen as somewhat oversupplied with jets, especially larger wide-body models, industry experts said. The slowdown has raised some questions about whether the companies will maintain plans to boost output later this decade. Both have also faced a slew of order deferrals in recent weeks, while insisting the trend of postponements is stable. Two industry sources said Indonesia’s Lion Air, one of the largest jet buyers with hundreds on order from Boeing and Airbus, is weighing the deferral of about 25 Airbus jets. Airbus declined comment and Lion Air was not available. Airbus was also hammering out details of an order for 100 more planes from Lion Air’s regional rival AirAsia (AIRA.KL), announced in a shower of publicity at Farnborough. After a slow start to the year, Airbus had looked set to end the Farnborough Airshow with 380 net orders for the year to date including the AirAsia deal, which it described as a firm order. 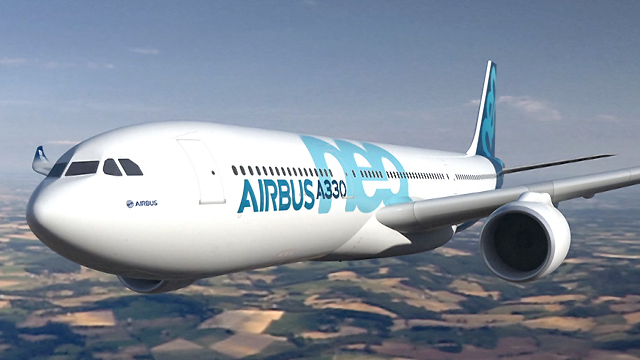 The deal did not make it into the new tally, however, and an Airbus spokesman said paperwork was being finalised. A person close to the talks said this only involved tying up loose ends. Latest Airbus data also suggested that another order secured at the height of an industry boom in 2012 had been trimmed back. Mexican low-cost carrier Interjet has canceled five of 40 A320neo jets it has on order, according to the monthly update. An airline spokeswoman said the change was part of an “operational swap,” without giving further details. The cancellation emerged as Mexican consumer confidence dropped to its lowest level in two years amid a weak economy. While Boeing remains ahead by a whisker in the race for new orders, it maintains a solid lead on deliveries which drive revenues, handing over 432 jets between January and July. Airbus delivered 339 jets between January and July, down 4 percent on the year, due in part to a shortage of Pratt & Whitney (UTX.N) engines for its newly revamped A320neo. It delivered just three of those jets in July, including two powered by Pratt & Whitney and the first to be delivered with alternative engines from CFM International. So far this year it has delivered 11 A320neos and 15 of its widebody A350s, another model suffering delays due in part to problems with suppliers. It aims to deliver 50 A350s this year. Industry sources say that besides widely reported problems with cabin equipment such as toilets, the A350 has faced other glitches including quality problems with wing spoilers from Austrian parts maker FACC. An Airbus spokesman said these problems had been resolved. FACC declined to comment. New Airbus data also incorporated the cancellation by Qatar Airways of the first of 50 A320neo-family jets it has ordered. The Gulf airline has criticized Airbus and Pratt & Whitney over A320neo delays and said in June it would exercise a clause to abandon the first jet, one of several parked in Qatar livery outside the French factory waiting for engines . Parent Airbus Group said last week that upgraded versions of the engines were now being delivered. Meanwhile, Qatar Airways is in talks with Boeing for rival 737 MAX jets to diversify its fast-expanding fleet.